Set sail on a swashbuckling adventure! 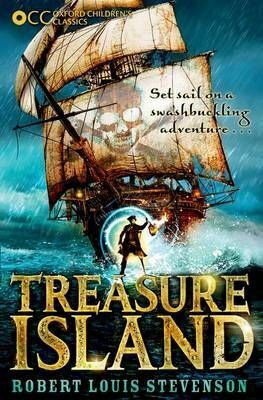 If you like action-packed adventure, then Treasure Island is the story for you! Not only does this edition include the complete, unabridged text, it is also full of extra material to help you get the most from the story and gives lots of recommendations for other adventures you might enjoy. Set sail on a swashbuckling adventure ...Danger! pirates! excitement! action! Join Jim Hawkins as he sails the high seas aboard the Hispaniola in search of lost treasure ...Oxford Children's Classics present not only the original and unabridged story of Treasure Island but also help you to discover a whole world of new adventures with an amazing assortment of recommendations and activities.